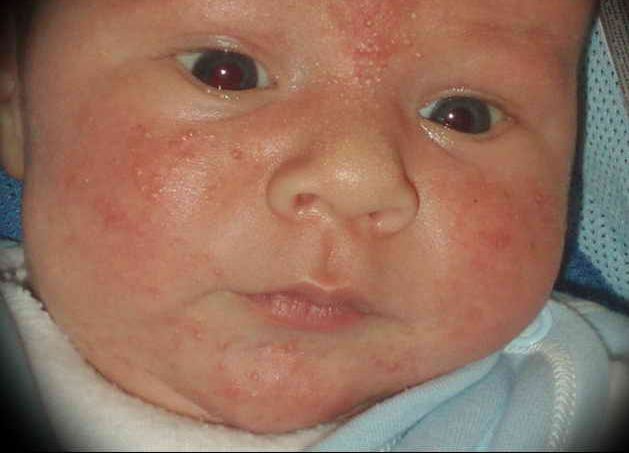 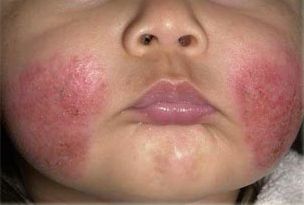 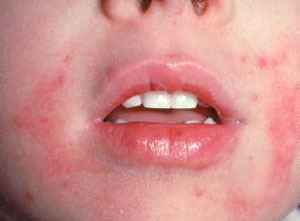 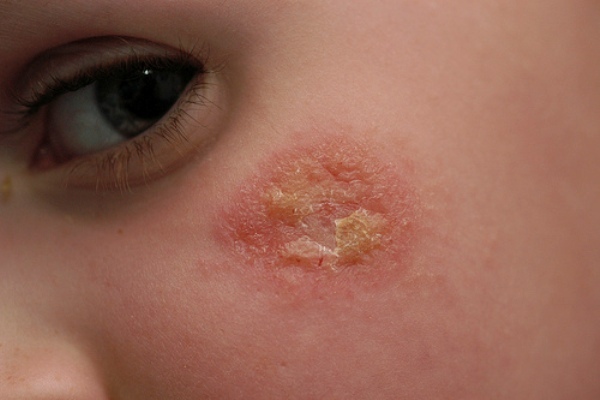 Eczema usually appears in the first six months to five years of a child’s life. 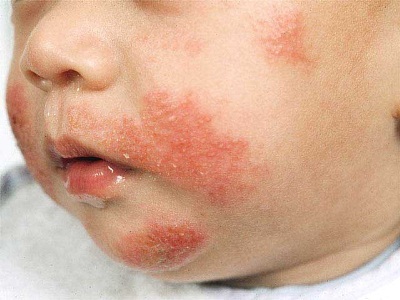 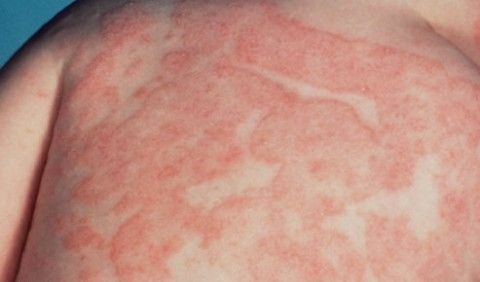 While there are a few different types of eczema that your infant or toddler can develop, the most common form is called atopic dermatitis (AD). 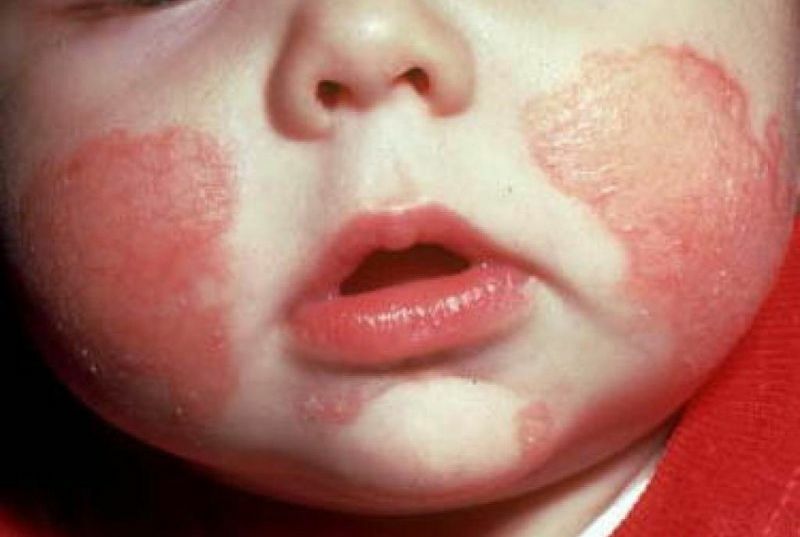 Eczema looks and acts differently in infants and toddlers than it does in older children. 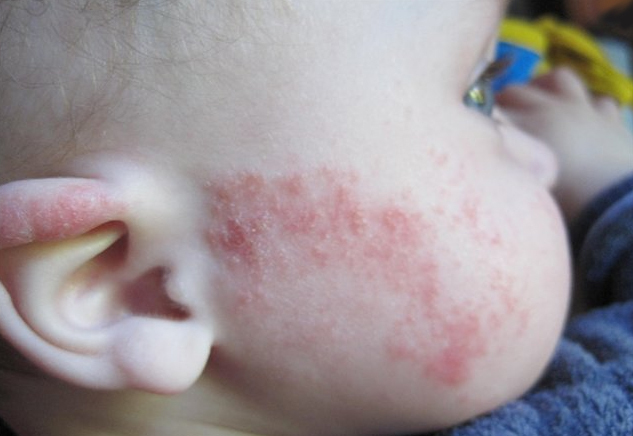 The location and appearance of eczema changes as they grow, so it’s important to know what to look for during every stage of your infant or toddler’s life. 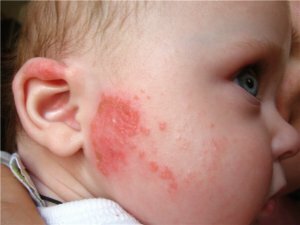 At this stage, eczema often appears on your baby’s elbows and knees — places that are easy to scratch or rub as they’re crawling. 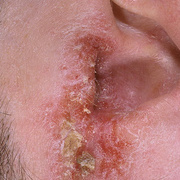 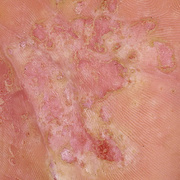 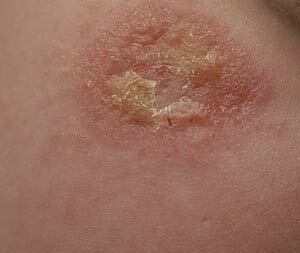 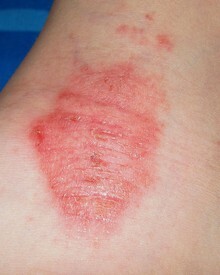 If the eczema becomes infected, it may form a yellow crust, or very small, “pus bumps” on the skin. 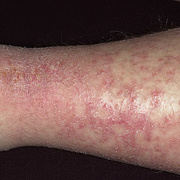 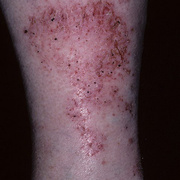 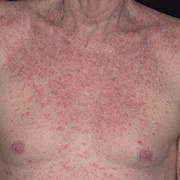 Eczema usually appears in the folds of the elbows and/or knees. 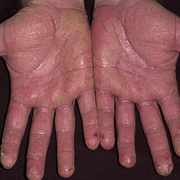 Sometimes, it’s only on a child’s hands — at least 70% of people have had hand eczema at some time in their life. 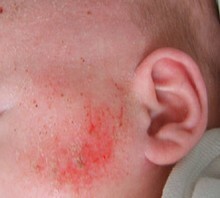 Redness and itchy patches behind your child’s ears, on their feet or scalp, may also be a sign of AD. 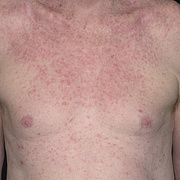 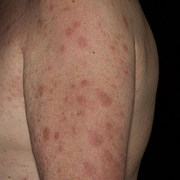 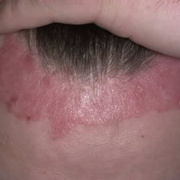 But these could also be symptoms of another condition, like seborrheic dermatitis, which can exist with eczema. 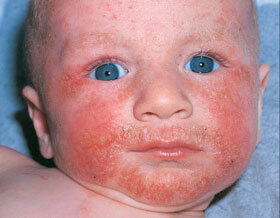 See your doctor to identify what kind of condition your child has and determine the best course of treatment.